My mother Helga Bassel was already 40 when I was born in 1945. 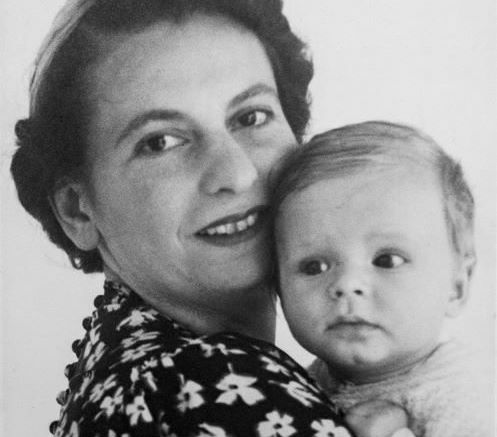 She grew up in Berlin and became a noted pianist, performing throughout Germany until she was sent an official letter by the Nazi regime to stop playing in public because she was a Jew. She didn’t stop. Eventually, her friends convinced her to take her piano and go to Cape Town where her parents already were. Her first engagement as a pianist was with the Cape Town Orchestra in the City Hall playing a Mozart concert for two pianos. The other pianist was an Afrikaner called Hannes Uys. So, besides those two pianists who became my parents, I have to thank two other people for being here today: Amadeus and Adolf. I still have that official letter to remind me whenever I write anything, how fearful words can so easily kill fearless dreams. I am still so sorry I never had the courage to talk to my mother about so many things once I grew up. It was only after she died that we were told she was Jewish! After having to leave Berlin for that very reason in 1937 Helga Bassel obviously didn’t want to go through any similar prejudice in Cape Town. So now whenever I can, I love saying that I am a Jewish-Afrikaner: I belong to both chosen people!